Keynote speaker at the White House Conference on Cooperative Conservation, August 29-31, in St. Louis, Misouri, Gale Norton, Secretary of the Interior noted, "The phrase 'cooperative conservation' has a 'bumper sticker' ring to it...The great 20th century conservationist Aldo Leopold envisioned conservation springing up in backyards, on farms, at workplaces, in communities. He anticipated a backyard conservation ethic alongside the legacy of conservation made possible through our national parks, wildlife refuges, and other public lands." Norton remembered "twenty years ago, while I was Associate Solicitor at the Interior Department, I began to see what government and private parties can accomplish if they work together. In the mid-1980’s, just a handful of California condors remained in the wild" and "the decision about what to do was filled with emotion. Some said the birds should be allowed to stay free and die out with dignity." A partnership between the Fish and Wildlife Service, the L.A. Zoo and the San Diego Wild Animal Park and the Peregrine Fund, the Ventana Wilderness Society, and the World Center for Birds of Prey in Boise, Idaho stopped the condors' extinction. Norton said she "will never forget the awesome sight of condors soaring over the Grand Canyon. Now, over a hundred magnificent condors fly once again above the mountains and cliffs in California and Arizona. Cooperative conservation is not new, but, like the California condor, it is spreading its wings and taking flight. It is gaining momentum as America’s citizens seek ways to supplant conflict with cooperation to fulfill their environmental goals. It is flourishing as we strive for partnered problem-solving that blends environmental, community, and economic goals. It is blossoming as we aspire for environmental excellence that springs from innovation, engagement, and on-the-ground insights." Norton noted the "profound impact on environmental protection at the national level" of former Environmental Protection Agency Administrator Bill Ruckelshaus who when he became the very first Administrator of the EPA in 1970 faced said Norton "incredible challenges...Our rivers were in such a dismally polluted state that the Cuyahoga River had recently caught fire. Few automobiles had emission control devices; leaded gasoline was still a problem. Smokestacks belched pollutants and smog blanketed our cities. Environmental issues at that time were fraught with conflict. Some people thought environmentalism was just an unnecessary expense and a passing fad. Environmental protection circa 1970 was all about conflict. It was a real struggle to set the direction of the country. Ultimately, our nation chose the path of greater environmental protection, and the transformation has been dramatic. Our air and water are far cleaner than they were 3 decades ago." Norton said thanks to Ruckelhaus' leadership "there are a growing number of places where people from different constituencies can collaborate to resolve their disagreements" and that with the foundation for "effective cooperation" and "broadly shared consensus in support of clean air, clean water and preservation of scenic landscapes" a "new era in environmentalism" has begun. Norton advocated that "cooperation and win-win solutions are more sustainable than alarmism or winner-take-all conflicts. This new approach is the most effective way to go beyond enforcing minimum standards to reach for higher levels of environmental achievement. Cooperative conservation is common sense conservation by people from every walk of life. It is rooted in collaborative decision-making, shared governance, and bottom-up action. It comes in all shapes and sizes." Norton recognized that "Nature itself knows no boundaries. Cooperative conservation offers a way to keep intact a medley of land ownerships, while creating a context for conservation across boundaries through partnerships." 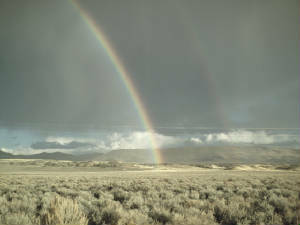 Some partnerships involve single projects while others are "complex partnerships...generating new forms of governance" that are "breathing life into federalism through creation of compacts, contracts, or new governing boards that oversee adaptive management plans on federal, state, and local lands. They are bringing citizens into the federal governance equation through advisory boards and cooperative agreements" and Norton noted "These efforts are making a big difference." Interior’s Partners for Fish and Wildlife Program has "protected, restored, or enhanced nearly two million acres of wetlands, prairies, and upland habitat since 2001" equal to the size of Delaware. The DOI and partners through the North American Wetlands Conservation Fund "protect as much as 600,000 acres of wetlands each year, contributing to the President’s goal of increasing wetlands by 3 million acres over 5 years. Interior’s colleagues at the Department of Agriculture, EPA, Commerce, and the Defense Department all augment this tally of conservation results through their partnerships" demonstrating that "even old federal agencies can learn new tricks - like listening instead of dictating - like focusing on results instead of writing standardized rules." Norton characterized cooperative conservation to a discovery process which fosters "innovation" and "creativity" as well as drawing "upon local insights and information so that management decisions take into account local circumstances. With their familiarity of local places, citizen stewards have knowledge of time, place, and situation - the details that make one location different from another and put boundaries on what’s doable. Instead of one-size-fits-all rules coming from Washington, local folks can apply the 'on-the-ground, in-the-dirt, everyday, nose-to-the grindstone' knowledge that improves resource management decisions." Norton recognized that gathered at the conference were "ranchers, sportsmen, teachers, business executives, and community activists", "conservation leaders from States, Tribes, and federal agencies" "from Alaska to Florida; from Michigan to Texas" both urban and rural reflecting "the upwelling of citizen stewardship in this Nation" who "mark a coming of age of cooperative conservation." Norton noted cooperative conservation overcomes fragmentary decisions and "issue-specific statutes, often generated piecemeal decisions and inconsistent or conflicting mandates" addressing "one species at a time; or air-pollution plans took shape in isolation from plans to reduce water pollution" whereas with cooperative conservation partners put all the pieces together in a set of coordinated landscape or place-based decisions." Norton said it's not simply about deregulation, noting there are still irresponsible people who "will engage in activities like midnight dumping of toxic wastes or poaching endangered species. For them, strong enforcement tools are needed. Instead, our choice is whether we lead with coercion - or whether we reserve it for those situations where coercion is actually needed." Norton acknowledged that all those assembled has proven the success of collaborative approaches and offered that she was "pleased to announce today that the Administration will soon be submitting legislation to further the potential for cooperative conservation. We want to continue the federal government’s evolution into a valuable partner for your efforts. We hope to keep on furthering the expansion of citizen stewardship, and our legislation will be designed to provide additional tools for long-term federal involvement in this effort." Norton cautioned, "Make no mistake. Cooperative conservation is not easy. But it offers a way to achieve enduring conservation results - a sustainability not possible when decisions are borne from divisiveness and trigger conflict. Cooperative conservation belongs to every American practicing it in thousands of small and larger acts, all adding up to millions of acres, miles of waterways, countless species benefits, and complex environmental problems addressed. Above all, through the give and take of collaboration and partnerships, cooperative conservation offers a way for us to achieve healthy lands, waters and wildlife, alongside thriving communities." As the three-day conference in St. Louis was coming to a close,. the three days of presentations and working sessions on cooperative conservation seemed to recede in importance as the mammoth task of responding to Katrina consumed the administration officials. Lynn Scarlett, DOI Assistant Secretary noted frustration on lack of positive press focus on the conference. "Typically they like stories that have a dynamic tension whereas these are good news stories. My view is that most human action is peaceful and it's about partnership, and it's about communities coming together and solving problems. That's not the story that's told in the press. The story that's told in the press is all about divisiveness, tension, crime." Scarlett said cooperative conservation can't be "fit it into the shoebox of old stories and old frameworks" or "into the shoebox of environment versus industry, or environment versus economy, you know, instead of telling the new story for what it is: that these are about folks coming together, having deep differences but turning away from debate towards conversation to try and get good outcomes." When asked how conservation and economics are mutually compatible, Scarlett replied, "Well, that plays out in a number of different ways but first increasingly we see a convergence of enivronmental opportunities with economic opportunities. For example, I had the opportunity to see a wastewater treatment facility in the southeast where they were being asked to further improve their water quality and the initial proposal was to build yet another mechanical wastewater treatment facility and fortunately through the innovation and creativity of folks on the ground who said we can do this differently, we can build a wetland and the wetland will be utilized to purify the water and we’ll get a double-whammy, we’ll have the pure water and we’ll have habitat for hundreds of plant and animal species so there’s that environment/economy convergence and that’s but one small example." Scarlett also pointed out the situation in Idaho where "you have there the demise of the timber industry. Well, to deliver environmental restoration, conservation, you need a thriving economy. You have to have a community which itself is economically sustainable so that they have the wherewithal to be able to participate in stream-bank restoration or whatever it might be." Scarlett noted new jobs are emerging in environmental restoration and commented that "a lot of this endeavor is and must be organic, by that I mean bottom-up. We can herald cooperative conservation, we can try with our agencies to support partnering and so forth, but ultimately that engagement has to be from folks on the ground including youth." Scarlett was pleased "to see this gathering of people, to see their enthusiasm, see the tangible work that folks are doing and shine a light through this conference on these efforts." When asked about the federal government getting out of the way and supporting moving the paper industry from trees to hemp and kenaf and stopping the polarization from within the government on tree-free paper, Scarlett remarked that "occurs on an evolutionary not a revolutionary basis and so we are seeing for example the uses of new materials, the lightening if you will of our environmental footprint in various endeavors whether it be in the use of biofuels, the use of different materials that have less impact in their extraction and manufacture." 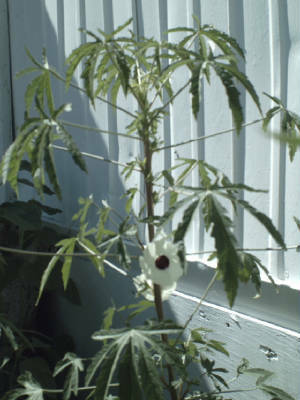 When reminded that tree-free hemp paper is largely unavailable in this country and that kenaf paper is exorbitantly expensive, Scarlett noted that at the Department of the Interior "we actually have fairly strong purchasing requirements within our agencies to purchase biodiesel and to purchase for example soy-based, other materials, cleansing materials for example that are biodegrable. We actually have those provisions. We have provisions for our agencies in the field to utilize alternative energy. We probably are at Interior one of the world's most extensive users of photovoltaic solar panels, geothermal energy and so forth. So partly through our own purchasing activities we serve as a model. Can we do more? Yes. It's a balance though because like yourself we do have to be cost-conscious. It wouldn't be a good service to the American taxpayer if in the end we were paying a 400 percent premium on things. But we do have those goals. We have environmental management systems in place for all of our facilities so that they're inventorying where their largest environmental loadings are if you will and then trying to mitigate those but again all of these things are an integrative process. Sometimes when you're at a moment in time, it seems slow, it seems frustrating, it seems like you're going nowhere but I think cumulatively over time you do see reorientation." 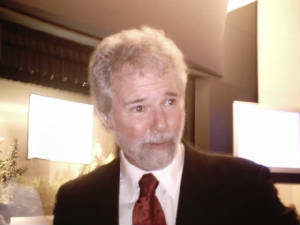 Chuck Leavell, keyboard player for the Rolling Stones and former member of the Allman Brothers Band attended the conference with his wife, Rose Lane. Leavell a 1999 recipients of the National Outstanding Tree Farmers of the Year for management of his forestland, Charlane Plantation authored a book on forestry and conservation, Forever Green: the History and Hope of the American Forest. Leavell said, "The forums Secretary of Agriculture Mike Johanns is holding for the Farm Bill is an absolutely wonderful thing to do and I would hope that my fellow tree farmers show up at these forums and voice their opinions. Traditionally, the farm bill is slanted so much towards agriculture. 6 percent of the programs go to family forests and that's a very very low percentage. Certainly, I would like to see that improved if possible. Other ways we can have our voices heard, the American Tree Farm System, ATFS, we have about 50,000 members across America and certainly we speak with one voice and we do from time to time go to speak to our congressmen, to our senators and voice our opinions on what we think needs to be done. As I spoke earlier in the presentation tonight, I have a sincere concern about the loss of rural lands to development. Not going to say I'm anti-growth, we're going to have growth in this country no matter what," rather Leavell advocated "smart and green-growth" rather than "rampant and rapid growth." Leavell noted the primary federal program available to tree farmers is "called FLEP, the Federal Lands Enhancement Program. It's a good program. It does indeed help family forest land owners to get some of the education and funding that they need. I would like to see this program increase quite a lot. I think it would be quite beneficial and also Sec. Johanns mentioned CRP program. CRP is a great program. It's been incerdibly successful, however, I think it's worth noting that CRP is not available to families that are already in the process of growing trees. It has to be converted from agriculture unless you have highly erodable land and I understand the logic behind that but I think basically I think you're leaving out a lot of forest land owners that could use assistance so I would like to see CRP changed a little bit to include family forestry." When asked what advice or wisdom Leavell had for fans and youth also looking to have an impact on the conservation process, Leavell answered, "Of course, the standard answer is you have to get involved. You have to go to meetings. You have to write your congressmen, you have to do those things and don't give up. You have to persevere. A lot of times in some of these situations that I've seen people tend to get frustrated and throw their hands up and walk away but if you are persistent and you know you're right and you speak up and you follow through with action then you can literally move mountains if you have a mind to do so." When asked whether he and the Stones would be interested in assisting with environmental concerts in the states, Leavell answered, "Yes, absolutely I'm open to using my voice and what little bit of celebrity I might have to help others who are interested and have a passion for the land, love our environment, that want to do the right thing, as long as they're common-sensical and they're going in the right direction. I would bring up one thing, there's a wonderful organization out of the United Kingdom called Future Forest that has a very simple philosophy and that is they go into any business any entity even rock 'n roll bands and they do a carbon audit and they sort out how much carbon emissions you are causing. And they do this through the University of Edinborough. So in other words, if it's a band they would say 'well how many tour buses do you have, or how many fans are coming on average. Do you have a private plane, so on and so forth' and they do this audit and they say, 'ok, you're emitting approximately this much carbon. Do you know by planting x amount of trees you can help mitigate that carbon emission.' That's a wonderful, very simple thing everybody can understand. They're being very successful with this. In fact, the Rolling Stones United Kingdom Tour, the last tour, 40 licks, was carbon neutral." While the Stones didn't travel in veggie diesel buses, Leavell noted, "The band stepped up to the plate and joined in partners with Future Forests and funded x amount of dollars to support the planting of the trees that Future Forests does and they do this in Scotland, they do it in Africa, they do it in countries all over the world. They go out, Future Forests finds the land, partners with landowners and then partners with entities whether it would be a rental car company or a rock 'n roll band or whatever it would be and gets the funding and then help create the action. It's just I think a wonderful simple concept that everybody can understand." When asked what he'd like to leave as a legacy, Leavell said, "In my mind, my goal with my wife is to leave the land in better shape than we found it. And what does that mean? It means going out there and getting your hands dirty. It means being smart about how you manage your forests and how you manage your lands. It means working to better the habitat for wildlife and not only for game species but for non game species, songbirds and the like, and that's what Rose Lane and I do everyday." Leavall noted, "You're not going to wave a magic wand in a few days and come up with answers. I think the most important thing is to get the dialogue going and certainly [Secretary Johanns] is doing that with the Farm Bill forums and I applaud that so much and I want my fellow forest land owners to join in and to speak their mind and I think as long as we all keep the dialogue going and if we work towards solutions we will find them. These are people problems, and people have to find the solutions. We talk about forests, we talk about agriculture, we talk about land, but these are people issues and it's going to take people to solve the problems." Understanding that educating the public is important, Leavall remarked, "How do you get the attention of people who live in the big cities who aren't walking the land every day like I do when I'm home. There's a number of ways you can do it. In our state, the Georgia Forests Commission has a wonderful van that goes around all over the state and it has a number of computers that are in there to teach children about outdoor issues, wildlife concerns, how timber is managed, agricultural concerns, and we take these vans into the big cities, that's primarily our targets, into Atlanta, to Savannah, to Augusta and to those types of cities and make it a point to get the teachers involved, to bring the children out, to let them have the experience of the van,. On a personal level, Rose Lane and I oftentimes host groups out at our place, Charlane Plantation. We have a special nature trail where we have over thirty species of trees identified and we walk the kids through there and we talk not only about the trees but the flora and fauna within and we talk about watersheds and we talk about clean air and we talk about forest management and we take them into the woods and let them see that as well. So, you know, one person can do quite a lot." Noting that in "metropolitan areas where these are sometimes foreign concepts, there's an absolutely fantastic program called PLT, Project Learning Tree, that is an arm of the American Forest Foundation. This is a program that is throughout our country and to gain status in PLT you have to go through a training program. There is a wonderful booklet that is chock-full of all kinds of activities and ways that children can learn about outdoor issues. We teach the teachers how to use the program and this inturn goes to the children and it's an absolutely wonderful program. And I think in terms of reaching kids in metropolitan areas that's probably the biggest tool that we have." "Oftentimes I have people coming up to me whether they're fans or fellow musicians or people that work on the staff or whatever to say, 'I read this stuff in the paper that you're doing or I heard you had a book on this subject. You really believe in this stuff? You really do this stuff? And I say, 'Yeah, come here and let me talk to you then I start the preaching. But yeah, I think I've maybe opened some eyes. I'll put it that way. You have to start with dialogue and getting people to think about these issues and that's what I try to do and that's what I'm going to continue to do. Provider Pals, that's what I was going to give a little bit of information about another great program called Provider Pals when you talk about reaching inner cities is a pretty good organization. What they will do is find a forester, maybe a rancher, I think in one instance there was a guy who dove for sea urchins and they partner with an inner-city school and you begin with some communication by letters or by video or by internet and eventually the Provider Pal, the person who works in the environment, makes a trip a to the school and brings videos or tools themselves and shows the children exactly what they do and they talk to them and I recall the rancher for instance brought a rope and let the kids try to rope a dummy cow and this gives children hands on experience and I think it makes them realize there's a world out there they don't see everyday and yes it's very important." and I was called to reconnect to the earth. yes, they'll know we are humans by our love. and our children deserve our best. Good morning everyone, and thank you for being here. Let me begin by conveying to all of you Secretary Gutierrez’s sincere regrets that he couldnot join you today. President Bush asked the Secretary to take part in the Hurricane KatrinaReconstruction Task Force. So, the Secretary’s duties prevented him from traveling to St.Louis. This Conference marks a new opportunity to collaborate on preserving our natural resources for future generations. It’s a priority issue for President Bush. It’s a priority issue for this Administration. Our goal is to broaden private-public partnerships that will enhance our environment. For the Department of Commerce, this conference is an opportunity to build on a century-old tradition. In 1903, the Fisheries Commission and fisheries conservation became a component of the newly created agency. More recently, NOAA, the National Oceanic and Atmospheric Administration, has created a number of partnerships to foster cooperative conservation. Among these are programs on climate research, coral reefs and fisheries habitat restoration. The NOAA Community-Based Restoration Program has been an amazing success story. Over the past five years, 16,000 habitat acres have been restored. Eighty stream blockages were removed. And 700 stream miles for fish passage were opened. To accomplish these milestones, the Restoration Program has worked cooperatively with local, state and private partners. We leveraged both financial and volunteer resources. Today, I’d like to talk to you about an important new partnership proposal - it’s the Open Rivers initiative. This is a cooperative program to remove obsolete barriers to free flowing rivers and fish passage. Let me be specific. I’m talking primarily about dams that are in hazardous condition or no longer useful. I’m also talking about other barriers such as culverts that because of size and location are too frequently blocked. Most important, I’m talking about removing obstructions where the community is leading the charge. Removal of such barriers can be an especially costly undertaking for local governments and private owners. In fact, there are dozens of dams around the country that have already completed the environmental review and permitting process. The communities recognize the benefits of removing these obsolete obstructions, but they don’t have the resources to make it happen. Our new initiative is intended to help provide assistance where this is the case. The key to the successful implementation of this program is a consensus among the people and communities affected. The impetus will come from the ground up. • First, we have no interest in pursuing removal of any dam that serves a useful purpose. • Second, we have no interest in pursuing removal of any dam whose owner is not a willing partner. The main reasons for dam removal are safety, environmental or economics. Often, it’s all three. Many dams are 50 years, 100 years, or older. Some of these are small dams, less than 6-feet tall. They were built for a variety of reasons: Many of them to establish recreation areas, some to create fire and farm ponds. Others for flood control, or irrigation, or water or energy supply. A number served multiple purposes. But that was then. Today, for many, their original reason for being no longer applies. Some of these aging structures have high-hazard potential for anyone working or living nearby. Recent technology has reduced fatalities, but significant liability remains for dam owners. Our initiative is intended for those projects where the community reaches a consensus. The motivation may be safety and/or to boost local economies. Removal can increase real estate values and recreational opportunities. In addition to obsolete dams, there are other barriers to free flowing rivers. Our Open Rivers initiative is also aimed at these. For example, the sheer number of sewers or drains under roads, dikes, or other structures means access is closed to many miles of streams. At the Commerce Department, we see removal of obsolete dams and other barriers as an additional tool in conserving and restoring our fish populations. It would especially benefit fish such as salmon, striped bass, and shad whose life cycle carries them through the river and the ocean. Overall, we envision the new initiative as a partnership in cooperative conservation and an investment in our society, our economy and our ecological future. From reports we have seen, it’s an investment that can produce real returns. One of the restoration projects that we participated in was in Newport, Maine. Working with the State of Maine and the U.S. Departments of Agriculture and Commerce, Town Manager Jim Ricker led the effort to remove an obsolete dam. He wanted to improve the safety of the people and the town. He wanted to reduce maintenance costs. And he wanted to increase available green space. The removal of the Guilford Dam eliminated a potential safety hazard. It also restored a portion of the Sebasticook River. This is leading to the renewal of the waterfront area, including increased fish populations, higher real estate values and more recreational areas for the community. The White House Conference on Cooperative Conservation convened August 29 in the America's Center in St. Louis' historic downtown with Helen Hankins of the Elko, Nevada, BLM and Leta Collord of the Stewardship Group in attendance. On arrival one received a printed name tag identifying you as presenter, participant or press. With that "necklace," one passed through the guarded entrance and into the vast Conference Center to enjoy the panoply of presentations, speakers and exhibits. Trees and plants from a Missouri nursery brought nature herself into the Center. The first day began at 8 a.m. in the multi-tiered Ferrara Theater where St. Louis Mayor, Francis Slay, welcomed attendees. Missouri Senator Jim Talent spoke, followed by James L. Connaughton, Chairman of the White House Council on Environmental Quality and Secretary of the Interior, Gale Norton, as well as a video-taped welcome from President Bush. Following the welcoming speeches, participants broke up into one of 10 concurrent sessions held in meeting rooms each furnished with speaker’s podiums, film screens, folding chairs for the audience and literature. Cooperative conservation alliances from around the United States including Alaska presented success stories in vacant land management; restoration of the Chicago wilderness; conservation in Detroit; Missouri watersheds; sustainable wine growers in California; Colorado River multi-species conservation and answered questions from their peers. At 11 a.m. participants went to the America’s Center Ballroom to dine at white-tablecloth-covered tables with place cards and elegant meals complete with salad, beverage and desert, all courtesy of the White House. As the Air National Guard brass quintet band played, the 1000 participants awaited the arrival of Secretary of Defense Donald Rumsfeld. Rumsfeld spoke of his love for the land and detailed the defense department’s contributions to domestic environmentalism. As Rumsfeld finished speaking he swept out of the room accompanied by photographers until he disappeared down the long hallway accompanied by his entourage. At 12:30 the concurrent sessions commenced again with presentations on the Nisqually River Watershed; the Phalen Corridor, rebuilding the urban environment of St. Paul, Minnesota; as well as on New York City’s conservation; southwest collaborative forest restoration; northwest Florida’s Greenway project; conservation of wetlands, birds and bears in Louisiana; conserving prairie ranches, ranchers and grassland birds, Hawaii coral reefs and native algae restoration, as well as on the transformation of abandoned mines into bat habitats, averting the extinction of numerous bat species. All the successes depended on collaborative cooperation between tribes, states, communities and federal agencies. Following refreshments in the Exhibit Hall, overflowing with information from a multitude of environmental groups, participants returned to the concurrent sessions. Particularly inspiring was the story of "Water without War" Cooperative Salmon Restoration in which the Confederated Tribes of the Umatilla Indian Reservation joined with farmers, enviornmentalists and county and federal government to return salmon to the Walla Walla River for the first time in 100 years without resorting to litigation. Audience members received golden packages of salmon and fresh Washington apples to mark the spirit of giveaway that comes with the Native salmon culture. From 4:30 to 5:30 participants returned to the Ferrara Theater to hear Secretary of Agriculture Mike Johanns followed by a speech by Rolling Stones keyboardist, Churck Leavall. 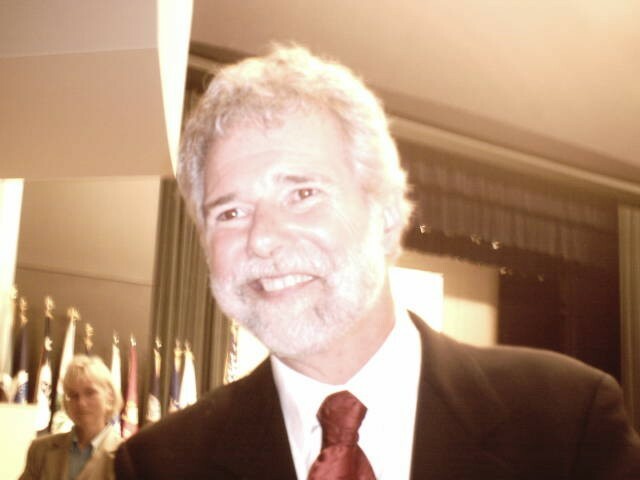 Leavall, a recipient of the National Outstanding Tree Farmer of the Year award, authored Forever Green: The History and Hope of the American Forest. Leavall, a southern tree farmer, had flown in from a Stone’s concert in Ottowa, Canada with his wife Rose Lane. The second day also featured speeches by Stephen Johnson of the EPA prior to the commencement of two rounds of 9 concurrent discussion sessions where participants, including the press, discussed topics like "Building Successful Partnerships," and "Expanding the Role of Tribes, States and Communities in Cooperative Conservation." By the evening of the second day as people joined in the Renaissance Grand Hotel’s Landmark Ballroom for dinner and music, the talk had turned to New Orleans and the jubilant celebratory nature of the Conference began to turn somber. Some were from New Orleans. One gentleman fortunately had his wife and children with him as his home was likely gone. Later in the evening, participants enjoyed an evening visit to the St. Louis Arch, courtesy of the White House. Flashing one’s conference tag gave entre to the Arch and its incredible museum complete with diorama’s, and artifacts including wagon trains and tipis. From the top of the Arch, St. Louis, Gateway to the West, sparkled while riverboats on the Mississippi River lit the night. The White House completed the conference on August 31 with panels led by William D. Ruckelshaus, former EPA director. Steven J. McCormick of the Nature Conservancy called for passge of a Cooperative Conservation Bill in Congress. Scheduled speaker Secretary of Commerce Carlos Gutierrez and other high-level cabinet officials had been called back to Washington for Hurricane Katrina councils with the President even as representatives of the Department of Defense, Commerce, EPA, Agriculture, and Department of the Interior sat on a panel talking about the need for streamlining interagency effectiveness. 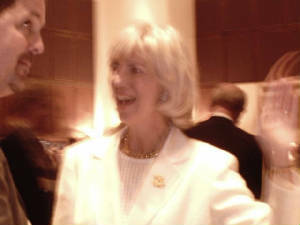 The spirit of the conference, marked by goodwill to and from the Administration, seemed like a dandelion puff blown to the wind by the accusations of the media as all emerged from the America’s Center to perhaps the largest cooperative conservation crisis in U.S. history, Hurricane Katrina. Hankins thought "the conference was great. I think it was really inspirational. It was an incredible opportunity to network with people and I think now the expectation is that the Administration will be coming forth with some further activities relative to cooperative conservation. They talked about several new initiatives while they were there. Everybody there had the expectation that there will be more to come from a legislative and policy standpoint." The conference was a "great effort on the part of the administration now we need to see what the follow-up will be." Collord too was "encouraged and impressed with the breadth of successful case studies presented there and I think it will be effective in sending messages back up the line as to where the barriers are in these local working groups to make them more effective. In total I thought it was an excellent conference." Chairman of the President's Council on Environmental Quality, James L. Connaughton told those assembled before they went out to face an America devastated by Hurricane Katrina, "We have already now emblazoned that new path for conservation in the century before us "so all that’s left for me to do is thank all of you and thank all of those who are now going to engage with you as we carry this great vision forward." Connaughton spoke, "On behalf of President Bush and on behalf of his team and adminstration, on behalf of the members of Congress who are now beginning to wake up and join in writing this new chapter I want to thank all of you." to the memory of edenic nights. as we release our final fears. to our present edenic nights. of a very busy self-made man. that could ever happen, of course. and he was sitting in the corner praying. I can hear sighs over the airwaves. nothing could happen to mar the day of a very busy self-made man. and not some bum on the street. Did you have strange dreams last night. when you close your eyes you'll be me. wishing he were a rich man's son. did you have strange dreams last night? when we realize we're one we'll all be free. Thank you. Thank you very much. Thank you very much. It's good to see you all. Good morning, ladies and gentlemen. Where is Secretary Gale Norton? I haven't seen her yet to say hello. There you go. Good. Nice to see you, Gale. I've been with Secretary Mike Johanns and Administrator Steve Johnson, it's good to see all of you. Is Senator Talent here? Someone said he might make it. He's doing such a great job on the Senate Armed Services Committee for all the men and women in uniform. Elected officials at the federal, state and local levels ‑ greetings. It's a pleasure for me to join you for this 4th White House Conference on Cooperative Conservation. President Bush's commitment to conservation is well known. As someone pointed out to me the other day, he's even using a recycled Secretary of Defense. That's right after he introduced me as the only Secretary of Defense to serve in two centuries. 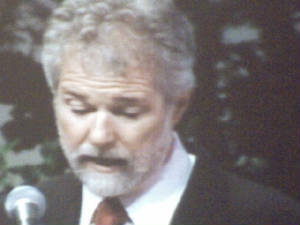 This year’s conference was called by President George Bush. But the first such conference, I'm told, was called in 1908 by another man of the west, President Theodore Roosevelt. The year before that, at the first conference Teddy Roosevelt said to the United States Congress: "To waste, to destroy, our natural resources, to skin and exhaust the land instead of using it so as to increase its usefulness will result in undermining in the days of our children the very prosperity which we ought by right to hand down to them amplified and developed." As with many issues, President Roosevelt was well ahead of his time. He understood clearly the importance of conservation when many did not. However, he also understood the importance of another issue, a cause for concern then as well as today, that of military readiness. From his experience in the military, President Roosevelt knew that the military's ability to fight is only as good as its ability to train. He said: "Good ships and good guns are simply good weapons, and the best weapons are useless, save in the hands of men who know how to fight with them." Like Theodore Roosevelt, the men and women at the Department of Defense understand the value of readiness and also the importance of cooperative conservation. The fact is, that sustaining the readiness of our military depends on cooperative conservation. I'd like to say a bit about what the department is doing to improve both and why they are inextricably linked. The Department of Defense has been entrusted with some 30 million acres of this country's land on which to house and train our forces and to test the weapons that they will likely have to use in battle. 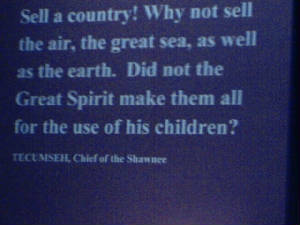 The duty to protect the natural resources of those lands is a profound responsibility. In fact, conservation is much more than a duty. It is really a proud part of the Department of Defense's heritage. Lewis and Clark's "Corps of Discovery," which commenced not too far from here two centuries ago, was after all a U.S. Army expedition that made some of the first and most important collections of wildlife data in North America. The founder of the Smithsonian's Museum of Natural History built his first collections primarily from specimens collected by U.S. army officers stationed across America's West. And the U.S. military rescued Yellowstone National Park, even before creation of the National Park Service, by protecting it from illegal activity [which included] logging, poaching and grazing some hundred years ago. Today that proud legacy continues. For example, I'm told that the population of Red Cockaded Woodpeckers, an endangered species, has grown so successfully at military bases in the southeast that over 100 birds have been exported to other federal, state, and private forests to help stabilize critical populations. According to the North Carolina Department of Environment and Natural Resources, military bases are now among that state's most environmentally conscious communities. If the Department of Defense were a business, readiness would be our bottom line. Some folks seem to assume that the department's conservation efforts tend to be in conflict with military readiness. In fact, the opposite is usually true. U.S. military ranges provide space to train our forces and to test equipment. And their preservation is essential because training wins wars and saves lives. Troops fight as they train and they must train as they will need to fight. Let me offer an example. Some of you may have heard of a soldier named Paul R. Smith. He gave his life for our country and became the first service member since September 11th to be awarded the Congressional Medal of Honor by the President of the United States. In addition to his selfless heroism, it was his strict training and instruction that saved every one of the troops in his unit. Their lives were saved during an ambush outside of Baghdad. His determination with respect to their training may not have endeared him to his troops before the war, but after that battle one said, "Now I realize what he taught us saved our lives." The Defense Department's policy is to link that life‑saving readiness with sustainability through a balanced concern for the mission and the environment. When those concerns are not balanced, the consequences can unfortunate, such as when troops deployed for operations in Iraq. The department's goal is to balance life‑saving training with conservation, as has been done at Fort Bragg. For many years there [inaudible] significantly curtailed during the mating season of an endangered species -- again, as it happens, the Red Cockaded Woodpecker. It was argued by many that military training noise deterred mating. However, I'm told that some 10,000 hours of surveillance tapes ‑ can you believe that – 10,000 hours of surveillance tapes ‑‑ finally demonstrated that military training noise had no discernable effect on those bird's reproductive success. Hard data trumped old assumptions. And today, training there continues for our forces as needed, and I presume so do the other activities of that species as appropriate. Often maintaining optimal readiness depends on cooperative conservation. This is the case for many military bases that were once in the middle of nowhere, but now in the center of encroaching development. In these cases the Department of Defense is working with conservation groups and other agencies to try to limit adjacent development. Partnerships are often the very best solution to the challenges of encroachment issues such as suburban growth, noise complaints and airspace restrictions. The best solutions to encroachment problems, we found, are partnerships with organizations, dedicated to conservation -- both governmental and nongovernmental organizations, to acquire from willing sellers conservation easements on nearby private lands. Fortunately, legislation requested by the Department of Defense authorizing such partnerships was enacted in to law by Congress in 2002. These partnerships can help forestall development and can protect habitats there by conserving our natural resources while allowing U.S. forces to train relatively free of encroachment-related restrictions. Consider the partnership project called the Northwest Florida Greenway. The five major military installations there constitute one of the largest open‑air military test areas in the United States. However, the area has been experiencing rapid growth that has threatened the military mission. Therefore, the department partnered with three nongovernmental organizations, seven state agencies, three regional and local agencies and two other federal agencies to work to conserve open space and compatible land use along a 100-mile corridor in northwest Florida. The benefits have included: sustaining the military mission, especially U.S. military aircraft training routes; protecting the natural resources of what The Nature Conservancy has called one of America's six "biodiversity hotspots;" and strengthening the regional economy as well as strengthening tourism through outdoor recreation, such as the Florida National Scenic Trail. Some of the projects currently underway in: California, Colorado, South Carolina, Georgia, Hawaii, Minnesota and North Carolina -- at Camp Lejeune, which I believe, like Northwest Florida Greenway, is the focus of one of this conference's sessions. Beyond the state level, the department is embarking on a Southeast Regional Planning pilot project that could include four southeastern states and four of our military services. We look forward to other federal agencies joining in this regional effort. Conservation strategies have changed a good deal since I was a guide at Philmont Scout Ranch in northeastern New Mexico some 56 years ago. Hard to believe – 56 years ago. The old way of approaching conservation planning ‑‑ through individual efforts, and without cross‑governmental partnerships ‑‑ will not work in a future of ever expanding competition for scarce resources. With new partnerships, the Department of Defense is seeking to fulfill a mission that is as old as the military. In the spirit of Theodore Roosevelt and on the order of our Commander and Chief, George W. Bush, the United States Armed Forces can and will continue to work to protect America -- both our lands, as well as our fellow citizens. So, I thank each of you so much for all you do for the generations to come of Americans. Thank you so very much, it's a pleasure to be with you. A Navajo gentleman working for the government noted "We all know what we want, we want a healthy land, we want wildlife, we want cattle, we want sheep, we want earthworms in the earth, we want clean flowing streams, that's what we want." He said he tells his people, "The only game in town I usually say is conservation because it's funded by the government and they do the design and engineering and we have the land but they work with the individual farmer, and rancher and my job is to faciiltate." He remarked that "There's a symbiotic relationship there and it works for us, but you have to consider again, Navajo we've got land mass." The Navajo are "maybe not the richest, but we have money, but we have much land, and much people so the money doesn't stretch too far when you're talking about 17 million acres and 300,000 people so millions don't mean much when you start dividing it up amongst those acreages and people so it's a relationship we need. We need the environmental project money, the EPA dollars, we need those abandoned mine grants and Fish and Wildlife and BIA. We need them in a big big way." He noted that Navajos are "people with different levels of education. We have our geeks and we still have people who have never gone to school. We still have those kind of people. The strength of Navajo is the diversity but they're real homogeneous, you know, they're all homogeneous but they always brought other people into the tribe, a good mix makes for a healthy genetic pool, and that makes them pretty strong and that's how they got a big reservation. They started out with a small one and kept getting bigger, and bigger, and bigger. And that's a struggle, an everyday struggle to maintain, administrate and enforce tribal rules and federal rules" and noted that sometimes in reconciling traditional concerns "the picture gets cloudy and the radar screen gets to be mystery-driven," and "sometimes sadly to say, we leave the traditional people behind, but I tell you, conferences like this, I'm going back to the people and saying 'I hope this is what you guys'll want.' He uses his technical background to help but finds it's hard to reach the expectations from his local bosses, "dirt farmers." Still he feels like "I'm doing what I want to do when I grow up. And seeing the future, some results that I want to see, that keeps me going. If it was all political b.s. and bureaucratic nonsense all I would do is walk into my office and gather my personal belongings and walk out and not even resign or anything." He pointed out that the people attending the conference "mean it because they spent money, they took the time...What really really hurts me, like I said, these people mean it. They want to be here. They want to fix the land. They want results. Not so back home. Not so back home. They've overgrazed our land and put in too much livestock and we ignore our livestock and those animals reproduce. The place is trashed. They march all over the place. There's that job of trying to fix that, too. But the government can't do everything for everybody." 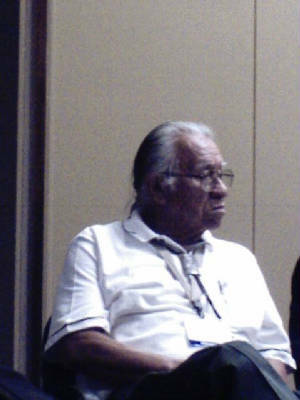 David Troutt, Chair of the Nisqaully River Council, spoke on a closing conference panel led by Bill Ruckelshaus (who following his tenure with the EPA, (1970-1973 and 1983-1985) now serves as U.S. envoy for the implementation of the Pacific Salmon Treaty, and currently serves as the Chairman of the Salmon Recovery Funding Board for the State of Washington). Troutt noted that in his "presentation to this conference on the Nisqually Water Shed, one of the slides I included in my presentation" shows "Nisqually being the center of the universe which we think it is." To Nisqually "it's not just a creation story, we really think Nisqually is the center of the earth. Our creation stories are about Nisqually being the center of the universe so with the Nisqually tribe and all the tribes around the country in your community, there's a special connection between the tribal people and the land they live in and it's really important to recognize that as we move forward with these cooperative efforts. To make that happen you need to remember a number of principles that I've seen when a tribe works successfully. One is, get to know the tribe in your community. I don't mean in a text-book intellectual way but get out to the community, get out to the reservations, eat with the people, introduce yourself to the officials. Have a cup of coffee and talk about what their goals and what your goals are and you'll be surprised how quickly the goals are very much alike and you can work together. Second is to include us early on in the process. We love to eat dinner, we love to help cook dinner. We don't like being invited to the meal after the menu's already been prepared... And for us to be effective in doing that, the tribes in particular because of their relationship with the federal government need the resources to be at the table and be productive. In a case that I've been working with Bill [Ruckelshaus] on salmon recovery in Puget Sound, the tribes through NOAA and Congress have received funding support, infrastructure for salmon recovery and because of that have been key and effective players in developing the salmon recovery plan and I think it's a large result of our leadership that we are where we are today... As an example the tribes have also been involved in the timber, fish and wildlife and fish and forest agreements for the State of Washington which is a collaborative process between the tribes, environmental community and the timber industry since 1989. From 1989 until now we've had stable funding to support our involvement in not only scientific but policy level to help this process go forward and I think if you talk to folks from the industry side and the state side and the tribe as well, they'd all say it's been a remarkable success, we're making incredible progress. Unfortunately, in the last budget cycle the tribe budget supporting their efforts in this program has been cut substantially which leaves us in the position of evaluating whether or not we can continue in an effective way in the process so it's real important to have the tribes at the table with the ability to be effective players in the process. Taking off my tribal hat and putting on my Nisqually council hat, 'That guy that just talked about the tribes, he was right on.' (Roaring applause). Ruckelshaus agreed that "The description of the tribes in Puget Sound having taken a leadership role is an accurate one not just for his tribe: there are 17 tribes in Puget Sound who have a major role in the development of the recovery plan that is now been presented to NOAA and will have publication in the next 45 days. And every one of those watersheds where we have had a very inclusive process where they have described the needs of the fish and developed a strategy or plan for helping those fish recover and have made major commitments in the watersheds to take the steps necessary to help those fish recover. Virtually every one with an inclusive and comprehensive process, tribes have taken the lead, and I think that's an important factor to keep in mind as we begin to think about putting together some of these kind of processes in the future." In assisting Northeastern Nevada tribes Hankins noted, "The tribes in Northeastern Nevada are not well-financed for the most part. Some of the bands have more revenues than others but the Te-Moak tribe itself is not a rich tribe by any means, the overall tribe. Underneath that there's Wells Band, Elko Band and Battle Mountain Band and with possibly one exception they're not well-financed at all and they have many things to contend with, you know, they've got housing issues, they've got a need for burial grounds; they've got other kinds of Native American religious needs for land and they have a lot of social issues that they're contending with and so they don't focus very much on natural resource or cultural issues and they don't engage with us to the extent that we wish they would." 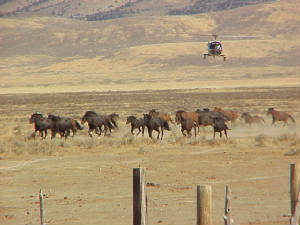 According to Hankins it's not just up to the BLM, "Well, they also have some responsibility to come to the table and I think you know we have made some progress in the BLM because we have a Native American liaison who meets with them on a regular basis, at least once a month, goes on field trips with the Elders, and other things, works with the tribal governments and that's significantly better than we had even two or three years ago. And I know Leta [Collord of the Stewardship Group] personally has made a lot of overtures to try to get tribal representatives at the Stewardship Group meetings. You know, there is a point where you cannot make them come to the table. They have to come when they're ready and when they're able given all the other demands that they have and I think our responsibility is to keep inviting them, keep making sure the door is open." 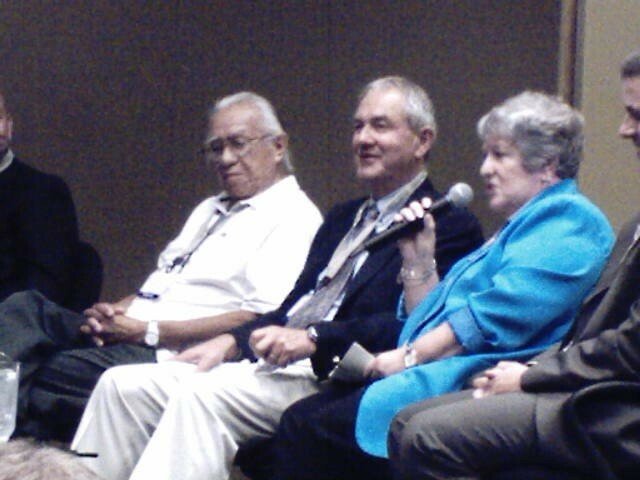 Hankins noted that local tribes "regularly receive information from our office through our Native American liaison and certainly they should be provided any public information that they want to have, but again they have some responsibility also to engage and various individuals in the individual bands and the tribal council do engage and participate as they can, but it's not always the same person and it's not consistent because they have other things that they have to spend their time on. We just have to work within what they're able to do and when it's necessary or appropriate we should be going to their tribal council meetings and we do, but it's a joint responsibility. We need to work to engage them and they also need to engage and it's improved over time and I think it's just one of those things that you continue to try to make better and I don't think it's going to get better in one week or one month. They have many issues that they're confronting." Would keep its green forever. "One of the vital aspects of traditional Rinzai Zen koan study in Japan is jakugo, or capping-phrase exercises. When Zen students have attained sufficient mastery of meditation or concentration, they are given a koan (such as the familiar 'What is the sound of one hand clapping?) to study.' These koans are from A Zen Harvest: Sayings of the Masters, translated and compiled by Soiku Shigematsu, foreward by Robert Aitken, published by North Point Press, 1988. A clover in the field.